This title covers the entire syllabus for Cambridge International Examinations’ International AS and A Level Economics (9708). It is divided into separate sections for AS and A Level making it ideal for students studying both the AS and the A Level and also those taking the AS examinations at the end of their first year. 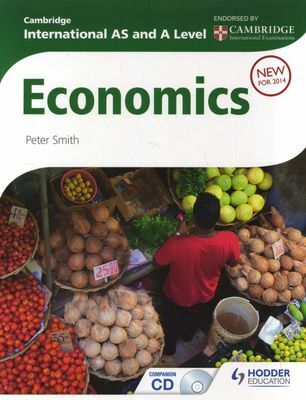 – Students will benefit from an accessible and international perspective on economics – Provides practice throughout the course with carefully selected past paper questions focussing on data response and essay questions – Free Revision and practice CD includes interactive tests, selected answers, additional activities, and a list of key terms We are working with Cambridge International Examinations to gain endorsement for this title.